The mod has finally reached passed Beta and is now on its first standard release! Consult the Readme for more details. 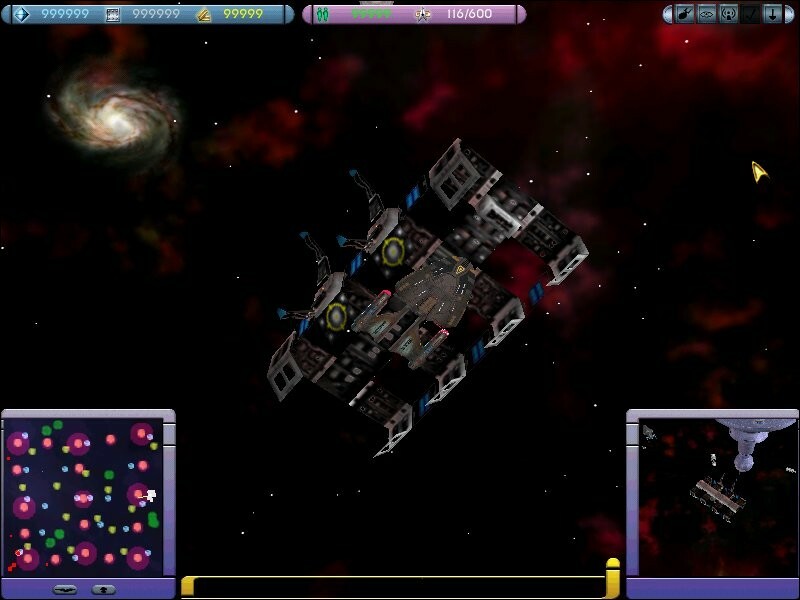 This zip includes the Federation side that will be used in the completed Concept : Future mod. To install just open the aip folder and double click on the executable file - this will install the files to where they need to go as long as you enter the correct directory. Alternatively (if you have other mods and some modding skill) just open the zip file and execute the exe file(save it to a different folder) then move the files that you want to where they should go. I think that it's obvious where they should go once open - but any problems and just mail me! I have used an auto-installer because a lot of people will find this a lot easier, also it's possible to install it without overwriting by installing to another file. Note - if you want to keep any of the fed data since before this installation I suggest that u back it up. A lot of the data will stay ï¿½ but there are a few files that have to be edited for the game to work properly with the mod. Since that time the alpha quadrant has been a little quiet in general following the end of the war with the Dominion. 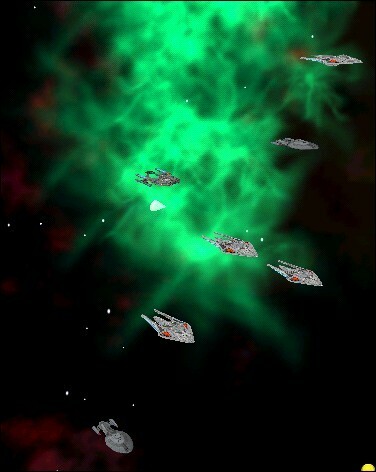 The Alpha quadrant has seen minor skirmishes between the Klingon Empire and it's various foes because of it's undying need for violence and death, the war between the Borg and Species 8472 did soften for a while after Admiral Janeway returned from the past to recover Voyager and to destroy the Borg's central command functions. But since then the Borg re-formed with a new, unknown, leader, rampaging through the delta quadrant, discovering new technologies that were previously unknown to them, they have become even more powerful, with the same central idea as before - perfection - at any cost. The Dominion retreated to the Gamma quadrant for a few years, while they rebuilt their ships. Then in 2380 they entered the Alpha quadrant again through the wormhole guarded by Deep Space 9. There was a battle and many people lost their lives. 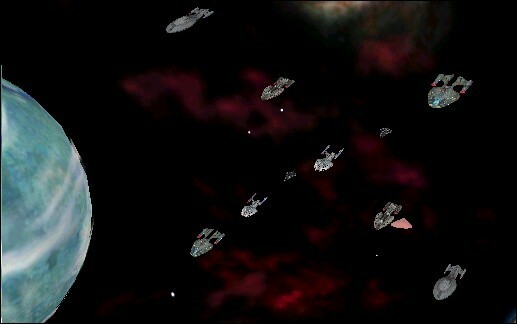 However the Dominion were successful in getting a few ships into the Alpha quadrant before destroying DS9. Then though the Dominion fleet managed to get behind Cardassian borders where they struck a deal with the Cardassians who have hated them since their parting of ways after the Dominion war. The Dominion have since engaged in a trade-resources agreement with the Breen, the Cardassians, a few Kazon ships thrown across space by an anomaly, the Sonï¿½a and the Ferengi. Ultimately this created the Alliance, a very powerful and strong fleet capable of crippling many Federation ships easily. I have edited the missions to the best that I can and there is a storyline there - I only think that it would have been more interesting if I could have edited the missions properly. Also the answer to what is causing the disruptions is at the end of the missions ï¿½ but anyone who can mod can find the answer in one of the mod files. (I wonï¿½t tell itï¿½s too easy enough). I donï¿½t really like the storyï¿½s ending ï¿½ so I think that Iï¿½ll edit it for the next one ï¿½ mail me bout it with any comments or ideas! This mod has been created mainly from ships that were already in existence before this mod was made; please see the credits part at the end of this document for all acknowledgments for all whoï¿½s generosity in letting me use their creations allowed this mod to exist. I think thatï¿½s all of them ï¿½ spot any problems in the read-me? ï¿½ then just mail me whatï¿½s wrong! Federation starting base is like the HQ. Some of the wireframes were not right. This is because I need people to help or I need to find them somewhere on them web (which is very BIG!!). The AI of the federation is still not right ï¿½ I am working on this and if you have any idea please mail me! Also Like I said some of the wire-frames still have a black background rather than a transparent one ï¿½ but I think that thatï¿½s a minor problem. The problem is in the alpha channels and maybe one or two is compressed I think ï¿½ but I cannot get it right ï¿½ so if you correct it mail me. I have also been told by a tester that when you install the graphics may go a ï¿½little screwyï¿½, Iï¿½m not sure why this is as it does not happen on mine ï¿½ however it should rectify after a restart. Also he said that the SOD of the hypergate slows down the game ï¿½ again this doesnï¿½t happen on mine and any suggestions as to why this is happening would be greatly appreciated. I think thatï¿½s all of them ï¿½ if Iï¿½ve missed credit out for one please mail me! And sorry if thereï¿½s a mistake anywhere in the mod ï¿½ Iï¿½m only human! 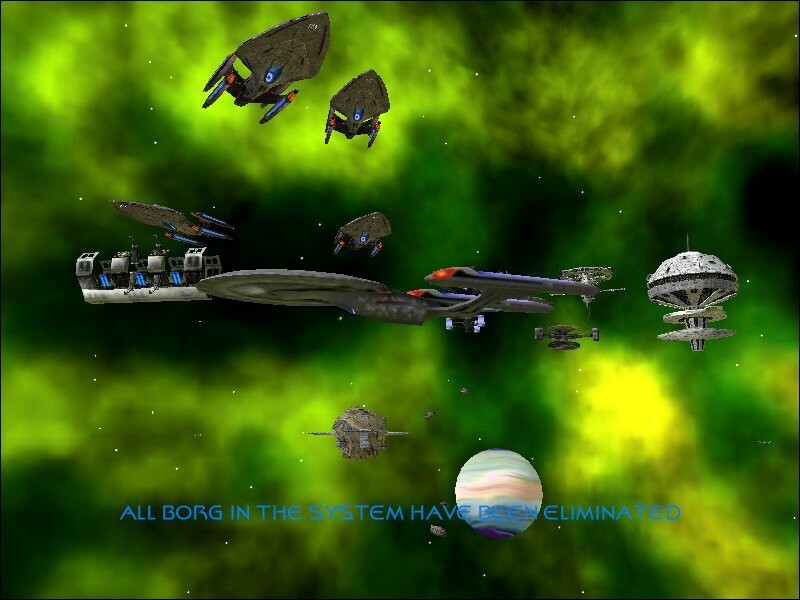 Ships used in Borg Incursion - Credits should also go to Deemon, Westworld, Quevey, and Starforce2 as well as Lord Bile, Raven NX and Mind Blip for their inspirations. Also to Westworld who without a lot of people may not have been able to mod as well as they do now! The Prometheus class is meant to be there at the start when playing as the Federation, I decided that having something bigger than a scout would make more sense as you could defend the base. When I create and release the other sides ï¿½ the Borg for example will have the advanced tactical cube ï¿½ the Romulans the Valdores class ï¿½ the Alliance the Dominion Dreadnaught and so on. Also I have put both bases there because (for starters) people have requested, and I like the look of, the HQ style base. But then there was a problem with the techtrees -> The HQ base was too big (memory wise) to be building them everywhere ï¿½ so I decided to only give on at the start of a Instant Action game. EMAIL ME IF THERE IS ANYTHING WRONG WITH THE MOD ï¿½ I CAN PROBABLY HELP. hey i don't know if you noticed but i can't repair my intrepid class and if there is no more crew then i can't transport because the life suport stays disabeld! for the rest: IT LOOKS GREAT! 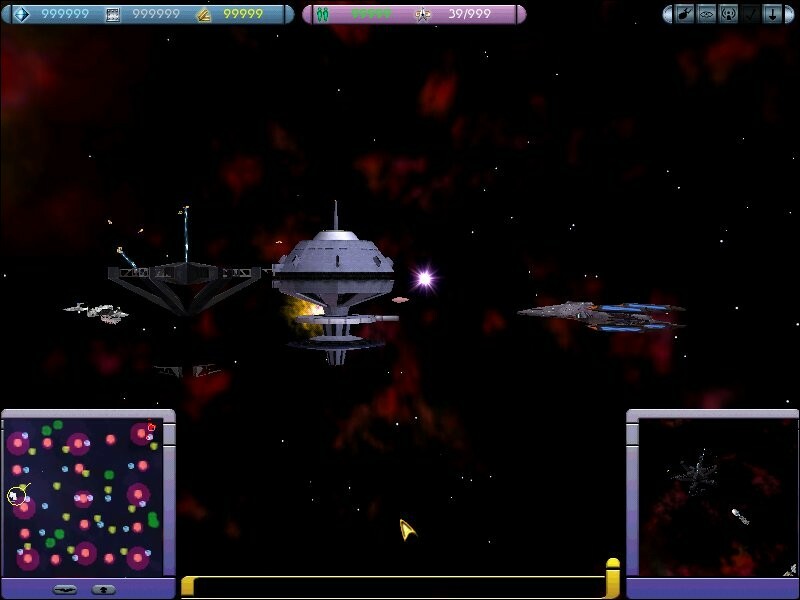 I noticed everyone time the Cardassians are on Insant Action, the game crashes.